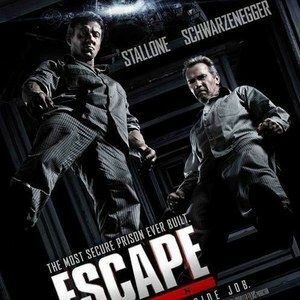 With its release just over one month away, Summit Entertainment has debuted two TV spots for Escape Plan. Sylvester Stallone stars as Ray Breslin, a security expert who is tasked with breaking out of an impenetrable prison. When he is double-crossed by his employers, Ray teams up with longtime convict Emil Rottmayer (Arnold Schwarzenegger) to break out and discover the truth about why he was set up. Take a look at the latest footage from director Mikael Håfström's action-thriller, in theaters October 18, along with a new poster featuring the two iconic action stars.